Long time favorite bonefishing lodge, Andros South, has just added another incentive to take a bonefishing trip this fall. For October, November and December, Andros South reduced their 7-night/6-day fishing package rate from $3,950 per person to $3,250 per person, a savings of $700 per person. 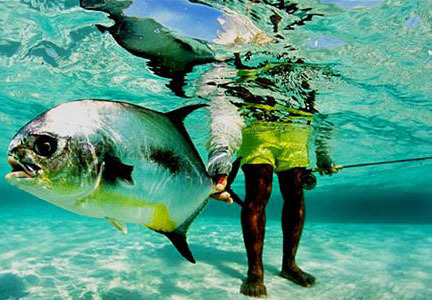 The $3,250 rate includes 7 nights having your own room, 6 days fishing south Andros Island with 2 anglers guide, all meals and drinks (including beer, wine, and liquor), round-trip transportation to Andros South from the South Andros airport, loaner fishing equipment (if needed), Global Rescue enrollment, and Bahamian room tax. And you get your own room! There is currently space in the following weeks (please call or email to confirm that space is still available). Not what you’re looking for? 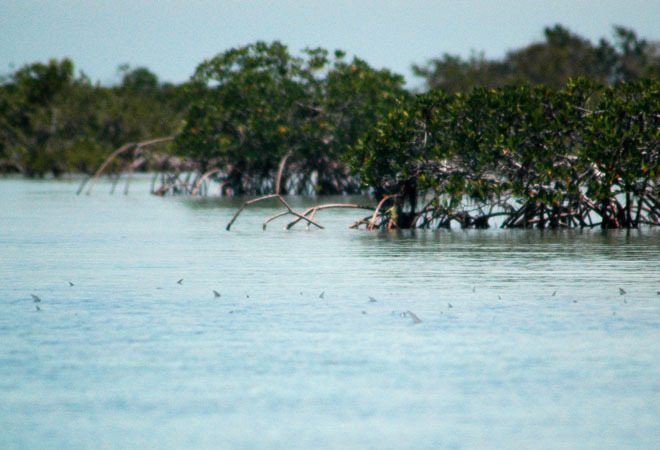 Check out our other bonefishing lodges in the Bahamas. 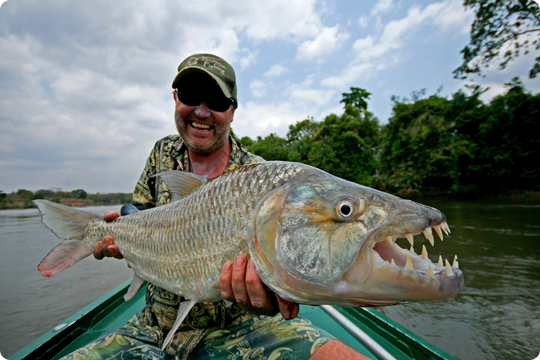 As a travel agency specializing in international fishing travel, we’re regularly asked how to travel with fishing tackle. We recommend 100% of the time that traveling anglers pack expensive reels and flies in their carry on luggage to avoid them being delayed, lost or stolen while in route to your fishing destination. Also, despite not fitting into the airline usual “carry on requirements”, most airlines are allowing small cases of 3, 4 or 5 piece fly rods as carry-ons, as long as they fit in the overhead compartment (please check with your individual airline for their specific policies). Metal objects (such as pliers, scissors, snips, pocket knives, screwdrivers, etc) that could be considered dangerous, should be packed in your checked luggage to avoid delays and possible confiscation at security checkpoints. The Travel Security Administration (TSA), the governmental body providing the manpower and regulations at our airports security checkpoints allow specialty fishing gear (like reels and flies) to be packed in check luggage. We recommend that anyone traveling with fishing tackle visit the TSA website and carry a printed copy of the document entitled: “Traveling with Special Items – Hunting and Fishing” with their carry luggage / E-Tickets. 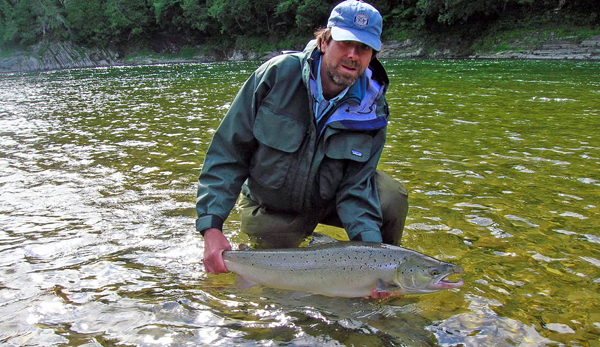 For those of you planning an Atlantic salmon trip this summer, here’s a tip from Doug Schlink you might enjoy. Adult, mutli-sea-winter (MSW) Atlantic salmon fish can be captured by hand tailing. This is accomplished by wrapping your hand and around the “wrist” of their tail (known as the caudal peduncle), just in front of the tail fin, much as you would grasp your own left wrist with your right hand just in front of your hand. 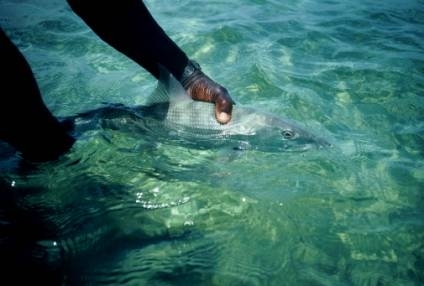 The tail fin on an MSW fish has developed stiff exterior rays, and prevents the fish from slipping through. Atlantic salmon that have only spent one winter at sea before returning to the river to spawn are known as grilse. Grilse are smaller, usually from 20 – 24 inches in length, and have not yet developed this stiffness in the tail fin’s exterior rays. A sure way to tell a big grilse from a small salmon is to check the development of the tail fin exterior rays. If they are stiff, and don’t collapse when you try to squeeze them together, it’s a salmon. But if they collapse, it’s a grilse. Because of this lack of development in the exterior caudal fin rays of a grilse, if you try to “tail” a grilse with this conventional method, the tail fin collapses and he’ll squirt right out of your grasp! But if your guide is not handy with the net when you’re about to land your grilse, you still can hand tail him using the technique I call the “Vulcan Grilse Grip”. Make a “V” or a “peace sign” by extending your index and middle finger of your dominant hand. With thumb extended, slide this “V” so one finger is on the top and the other along the bottom of the caudal peduncle. Now quickly wrap the thumb around and close the rest of your hand as if you’re trying to make a fist. You should now have a firm grasp on the fish! I’m not sure why this works, but it does. A word of caution, never lift a salmon or a grilse you plan to release clear out of the water by the tail. This can cause internal damage. Please use hand tailing only as a means of securing the salmon in the water so you can remove the fly and properly release into the current. If you want to lift a salmon for a photo, use your other hand to gently support the body of the fish, and lift no more than a few inches from the water and for no more than a few seconds. Many thanks to angling great Larry Solomon, co-author of the classic “The Caddis and the Angler”, for showing me this technique over 20 years ago on the Nepisiguit River. 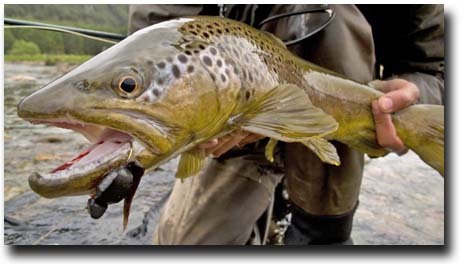 Fly Fishing in Chile is known for big brown trout taking big surface flies. 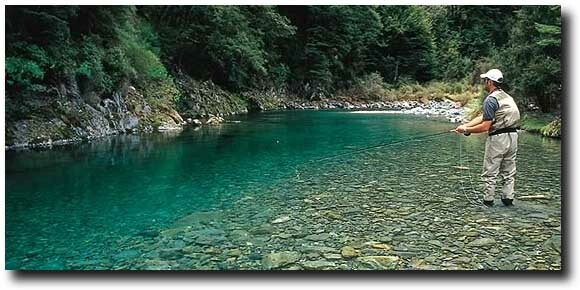 This is especially true in the Coyhaique area of Southern Patagonia. 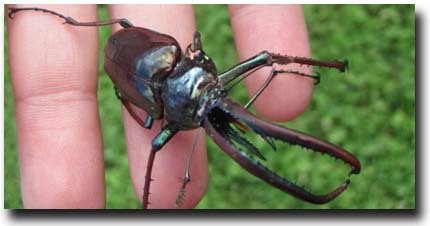 Typically anglers thinking about Chile imagine the splashy rises of trout taking 2” – 3” imitations of Cantaria Beetle, the largest beetle in Chile. This season offers something new, potentially a once in a lifetime opportunity. The Quila Bamboo in the Paloma River Valley is seeding – an event that happens about every 15 years (estimated to take 60 years for the bloom to return to the same area). This “bloom” creates an explosion in the mouse population due to the abundance of food (Quila Seeds). This acute rise in rodent populations is a well-known phenomenon in South America, which has been scientifically documented since 1552. 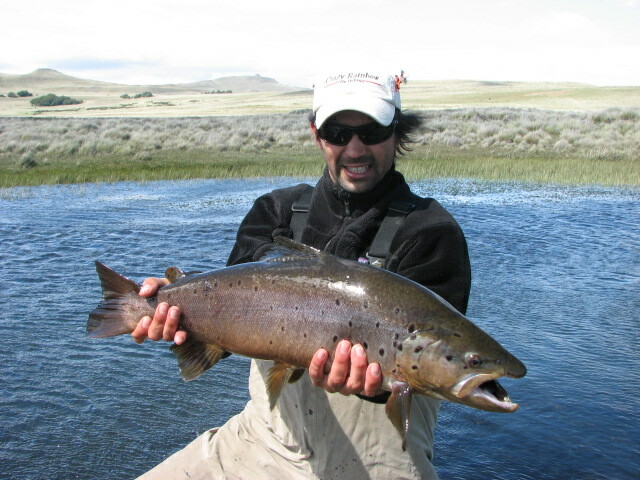 Cinco Rios Chile is already exploiting the situation and catching large browns on mouse imitations, however owner Sebastian Galilea expects the fishing to peak in late February / early March when the rodent population is at its peak and the supply of Quila seeds has declined. Anyone who has fished the Arolik for Rainbows or Labrador for Brookies can testify to the voracious strikes on mice when skated over fish from an opposing bank or overhanging branch. The Paloma River, the Magote, the Rio Simpson, the Boca de Leon, and the Elizadle all have visible increases in the rodent populations and are proving productive when fished with a mouse imitation.